'Berthe' Illustrated Plate by Agalis Manessi is a decorative piece inspired by artist Berthe Morisot. 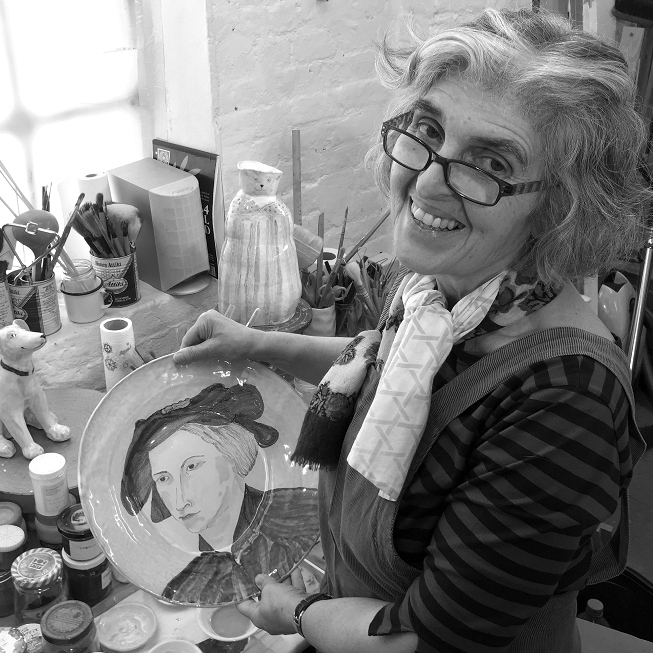 'Berthe' Illustrated Plate by Agalis Manessi was inspired by Berthe Morisot, whom Agalis first discovered depicted in a painting by Manet and later decided to realise her own portrayal as part of a series focusing on women artists. Agalis’ work is at the forefront of Majolica ceramic art; each piece is imbued with a freshness and subtlety that belies the difficulty of the process.